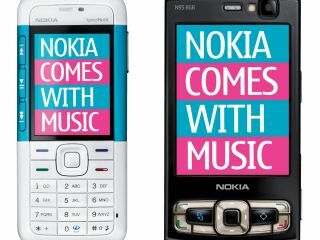 Nokia's Comes with Music unlimited download service faces another setback as the company confirmed that the US launch has been pushed back to 2010. A spokesperson for Nokia confirmed to Forbes that the launch had been planned for 2009, but was pushed back to 2010 for unspecified reasons. The service has enjoyed limited success, especially in countries where mobile use is more mainstream, with the UK only having Orange supporting over the air music downloads. "Comes with Music has been below expectations in developed markets, though Nokia is having more success in emerging markets," said Mark Mulligan, an analyst with Forrester Research, told Forbes. "In Western Europe and specifically Great Britain, Nokia has been hindered by not having a strong operator route to market." The Comes with Music service, before the Orange announcement for the upgraded edition of the 5800 XpressMusic, was only available as a side-load option via the PC, with Nokia struggling to find networks to willing to support the service. However, the service has yet to gain widespread approval, and we can only hope Nokia keeps supporting Comes with Music as it battles the likes of Spotify's mobile application.